ABU DHABI, United Arab Emirates — Qatar and Japan won their opening games at the Asian Cup on Wednesday, but for both teams it's all about 2022. Quite literally for Qatar, which is hosting the next World Cup that year and scored its first goal at 8:22 p.m. — or 2022 — Qatar time. 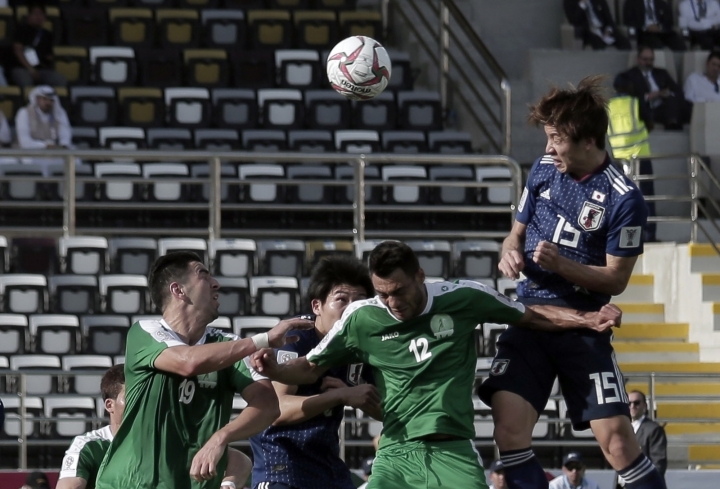 Japan's quest for a record fifth title started with a 3-2 victory over Turkmenistan, while Qatar earned a 2-0 win over Lebanon amid political tension with the host nation. After giving up an early goal, Japan — which has a young squad that's been rebuilt with an eye on the next World Cup — scored three in quick succession to turn the game around. Yuya Osako scored in the 56th and 60th minutes, the latter following a goalkeeping error, and Ritsu Doan made it 3-1 in the 71st. Arslanmurat Amanov scored with a long-range shot to give Turkmenistan — the Asian Cup's second lowest-ranked team — the lead in the 26th minute. Ahmet Atayev converted a penalty kick toward the end after a foul by Japan goalkeeper Shuichi Gonda. After losing to Belgium in the last 16 of the World Cup, Japan is trying to rebuild. Coach Hajime Moriyasu left some experienced players off the team for the Asian Cup, including midfielder Shinji Kagawa and forward Shinji Okazaki. He is instead giving more prominence to players like Gonda, whose last competitive international game was in 2013. Japan is unbeaten in six games since the World Cup, five of those victories. In the other Group F match, Uzbekistan beat Oman 2-1. Eldor Shomurodov scored the winning goal in the 85th minute. Uzbekistan finished the match with 10 men after defender Egor Krimets was sent off in stoppage time for fouling an opposing player who was through on goal. Qatar dominated possession but lacked a cutting edge against Lebanon before Iraqi-born Bassam Al-Rawi curled in a free kick in the 65th. Almoez Ali made it 2-0 from a rebound 14 minutes later. Earlier, Lebanon thought it had scored its first major-tournament goal since 2000 through Ali Hamam at a corner, but it was ruled out for a foul away from the ball. It was the first time in 35 years that Qatar won an Asian Cup game while not being the host. Qatar is playing despite political tension with the host United Arab Emirates and Group E rival Saudi Arabia, which have blockaded Qatar, cutting many travel and trade links. That disrupted travel plans for the Qatari team and the head of the Asian Cup's organizing committee, who is Qatari. Qatar leaned heavily on its lavish youth academy system to build a team and its squad is the youngest of all 24 in the Asian Cup. Naturalized foreign-born players are also key, including French-born midfielder Karim Boudiaf and Portugal-born defender Pedro Correia. Lebanese fans made up the vast majority of the crowd for Wednesday's game and frequently jeered Qatar. 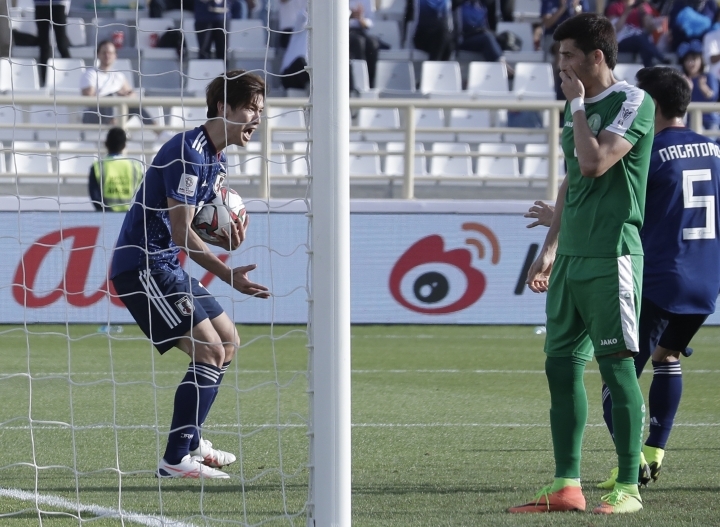 Saudi Arabia stayed top of Group E ahead of Qatar thanks to its 4-0 win over North Korea on Tuesday.